We are pleased to announce Harris Academy South Norwood, our eleventh Quality Mark Beacon School. With Mr Alan Marshall-Hick as the projects Lead Teacher, Harris Academy South Norwood have truly embraced the Beacon School programme – relishing its investment in staff, welcoming FREE access to CPD and embracing of research informed practice and its integration of the Norwood Intent and its ‘Scholars, Citizens, Ambassadors’ principals. Thanks to Principal Soar they recognised early the whole-school benefits of quality provision for and experience of Holocaust education and understood the academic and holistic outcomes that such a profound and rich learning experience could provide. The quiet commitment and scholarly reflections of Mr Marshall-Hick has led to a strong scheme of work being developed and this is ambitiously linking to genocide education opportunities. All this has been underpinned by the schools’ senior leadership, especially Mr Soar, who has a clear and forward-looking vision, ensuring Holocaust education is a right for all learners, that South Norwood have the enriching learning experience and outcomes they deserve. Together with the UCL Centre for Holocaust Education, Harris Academy South Norwood has truly embarked on the ‘Beacon School journey’ with thought, care and passion; it is a team effort that has ensured the curriculum is value driven, and indeed, responding directly to antisemitism, and wider safeguarding concerns. We are delighted to partner and re-designate the schools Beacon School status for a further three years. The quality of teaching and learning, and the outcomes for learners, particularly within History, has benefitted from Beacon School status. Beacon School status plays a crucial part in securing excellent SMSC provision and this should be widely celebrated. Value-driven and reflective school leadership. Senior leaders and teachers are committed to the principle that all learners have the right to access quality Holocaust education. The scheme of work/learning is both enhanced by a range of UCL Centre for Holocaust Education materials, and richly informed by its pedagogy and educational principles. The centrepiece of Harris Academy South Norwood’s strength in Holocaust education is built upon the foundation of its constant pursuit for quality teaching and learning. The lesson observed for the purposes of review bore hallmarks of quality teaching, rather than just quality teaching about the Holocaust. A vocabulary of rights was an undercurrent, informing or framing several student contributions throughout the review process and they should consider Rights Respecting School status. Personal stories were a feature of the Holocaust scheme of work that the students found particularly compelling, especially the thread of Leon Greenman and family. Strong and supportive leadership from the Principal Mr Soar, through Mr Marshall-Hick as Lead Teacher, has been critical to the success of the development of Holocaust education at South Norwood. Mr Marshall-Hick’s knowledge, commitment and emerging specialism is widely acknowledged as the impetus of the project. 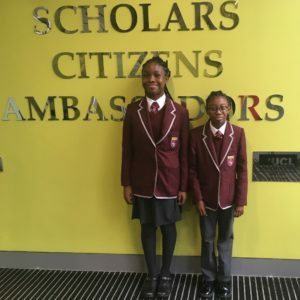 South Norwood students were found to be articulate, thoughtful citizens; keen to learn, respectful and are the school’s best advocates. Harris Academy South Norwood’s Beacon School work undoubtedly contributes to developing learners’ emotional literacy. It is clear the Beacon School project has been instrumental to staff and school engagement with academic and educational research. The emergence of their genocide education is hugely ambitious and innovative. 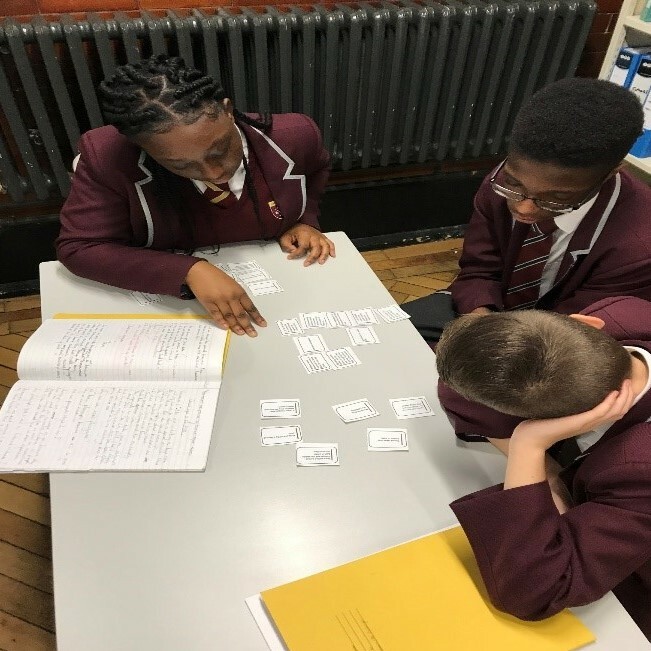 Our Quality Mark review process confirms that Harris Academy South Norwood’s Holocaust education is a powerful contributor to both a curriculum that informs, engages, empowers and inspires its learners and driver for school improvement. Given so much excellence, it is fitting South Norwood be recognised for its innovation in, provision for and commitment to quality Holocaust education with this prestigious award. Here is another example of the Centre’s successful and impactful partnering with schools working in partnership. Harris Academy South Norwood epitomises the ethos, aims and ambition of the Centre’s Beacon School programme: all involved in the school’s Quality Mark process, including mentor Tom Haward and Executive Director, Professor Stuart Foster are proud of the achievement, but with the school open to development and refining of practice we all look forward to seeing what the future of Holocaust education – and indeed impressive genocide awareness – at South Norwood may look like.